Kongming lanterns can ascend to as high as 1000 meters, and they could pose dangers to aircrafts. 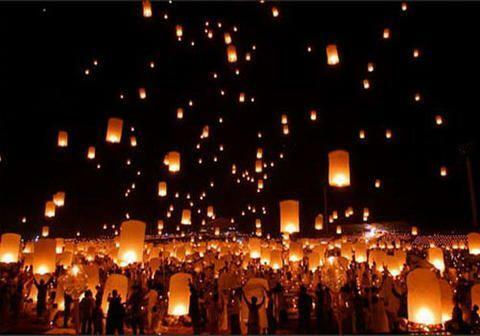 Sanya Phoenix International Airport has warned the public of the release of Kongming Lanterns within the airfield clearance zones as they could pose dangers to aircrafts, reports hinews.cn. Kongming Lanterns are a traditional sky lantern to pray for blessings or celebrate festivals in China. The warning came ahead of the Chinese Lantern Festival celebration, which falls on 17th February, when large numbers of lanterns are lit up. Kongming lanterns can ascend to as high as 1000 meters, and they can possibly collide with aircraft that can cause fire or an explosion. According to airport authorities, the area within 15km of the runway’s east end, 15km of the runway’s west end, 6km of the runway’s north end and 6km of the runway’s south end is designated as the airfield clearance zone of the Sanya Phoenix International Airport. In order to ensure safe flights during the festival, the airport will coordinate with the police department to conduct inspections on the flight paths. Anyone found violating the regulations will be fined up to RMB100,000.